At Fandango, we are a group of smart, innovative, fun-loving people with a common goal of perfecting the movie going experience. We like to think of ourselves as a mini community populated with surfers, break-dancers, comedians, foodies, gamers and oenophiles (wine lovers). 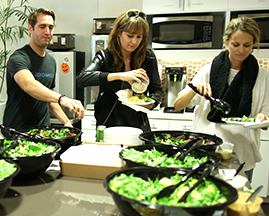 From innovating site navigation to writing code to coming up with new lunch recommendations, all ideas (big and small) come from the people on our team. Think that’s you? If you see a job you’re interested in, be sure to apply online. We’d love to hear from you. We think you’re awesome, and we want you to feel and stay feeling awesome. Need proof? We offer on-site fitness classes, nutrition classes, massages and yoga in addition to the more traditional options in medical, dental, vision programs. Learn new skills or enhance the ones you’ve got by attending conferences, enrolling in classes, engaging in our tech meet-ups or taking advantage of our tuition reimbursement program. Not everyone works on the same schedule. This is why we offer flexible work arrangements and hours for certain roles. We match $1 for $1 of up to 4.5% of your 401(k) contribution in addition to 3% regardless of your participation. We believe work life balance is essential for you and the team. Everyone gets 10 vacation days, 2 floating holidays, 5 personal days and 11 sick days a year. And as if that wasn’t enough, when the weather warms up we have a summer Fridays program too! Fandango is located in an energy star building that recycles and composts. We also subsidize carpool programs. Our kitchen is fully stocked with a huge variety of breakfast, snack and beverage options…not to mention our catered lunches every Tuesday and Friday. 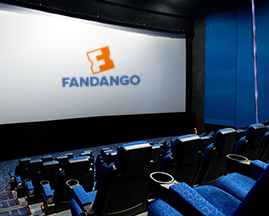 Movies are an integral part of our lives at Fandango. We provide a generous amount of movie tickets so our employees can enjoy their favorite films all year long. You’re encouraged to participate in our community activities that take place throughout the year. 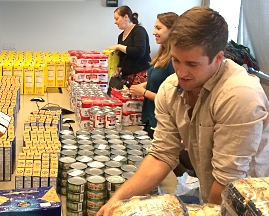 We're sure to have at least one charity event that you'll want to donate your time to! 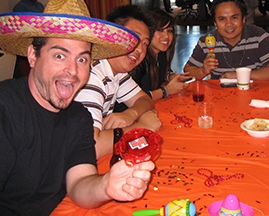 Beach parties, holiday soirees, Cinco de Mayo festivities, birthday celebrations and boba breaks are just a few of the ways we like to treat our employees for jobs well done.